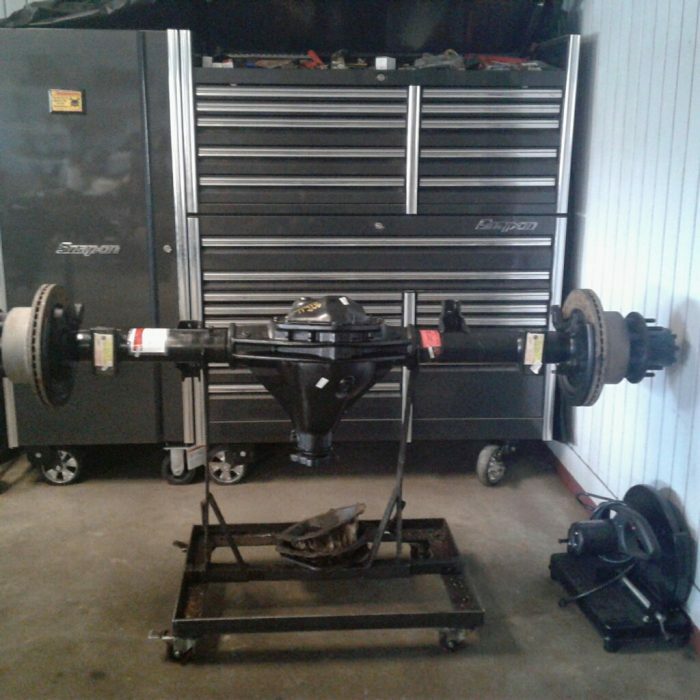 Our Rebuilt Dodge D3500 Rear Axle Assembly is a turn key ready to install axle. Our D3500 rear ends are hand built in our shop. Each axle starts out as a bare housing. We will verify it is straight on a lathe then begin the assembly process. We use Dodge OEM gears to ensure durability and longevity. The bearings and seals are Timken type, the best money can buy. After the center is built, we will install axles, hubs, and rotors. Each axle is then filled with fluid, painted and will be ready to go. No additional parts are needed for installation.